The malaria vaccine that now appears to be within reach, following successful large-scale trials in seven African countries, is a potential game changer for the rural villagers whose children are the main victims of this ancient disease, which was named "mal'aria" for the bad air medieval Italians thought caused it. Early results from 6,000 babies aged 5-17 months show that their risk of malaria was reduced by slightly more than half (56%) and their chance of severe malaria – the kind that affects the brain, kidneys and blood and often kills – by slightly less than half (47%). I see no particular reason to think that Libya will have any impact on malaria funding, but I do think the level of malaria funding is impacted over the long term by the existence of a substantial number of people (of which Chait is one) who seem to advocate for humanitarian goals in Africa if and only if those goals can be advanced through the use of military force to kill other Africans. Sure, it would cost many millions to fully distribute a malaria vaccine. But how much have we spent in Libya? Probably something like a billion dollars, given we were up to at least $900 million in late August. 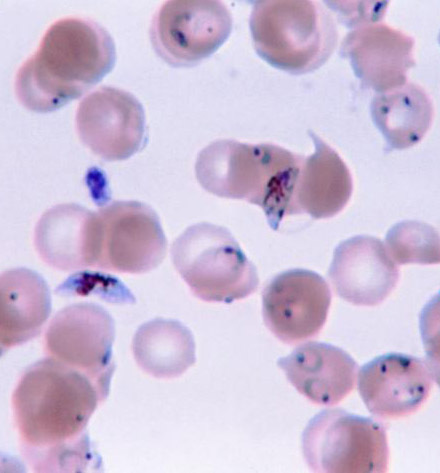 Malaria kills something like 780,000 people every year. Worth $900 million at least to put that problem down for good. Americans hate foreign aid; at the debate last night the candidates talked a lot about cutting it (except for Israel's, of course). Yet our executive is so unconstrained in military areas he can send troops into Uganda with no debate whatsoever, allegedly for the same rationale behind foreign aid. I get that you can't disentangle this from the larger military-industrial-congressional complex and its outsize political power. But this is at least an argument that our discourse has seriously distorted priorities.